Home-brewed Happiness: You know it like a local, now! You know it like a local, now! 1. Hire a vehicle: Not only it is going to save you a lot of money, but also it’s going to give you a lot of peace of mind and liberty to stop at and start from wherever. 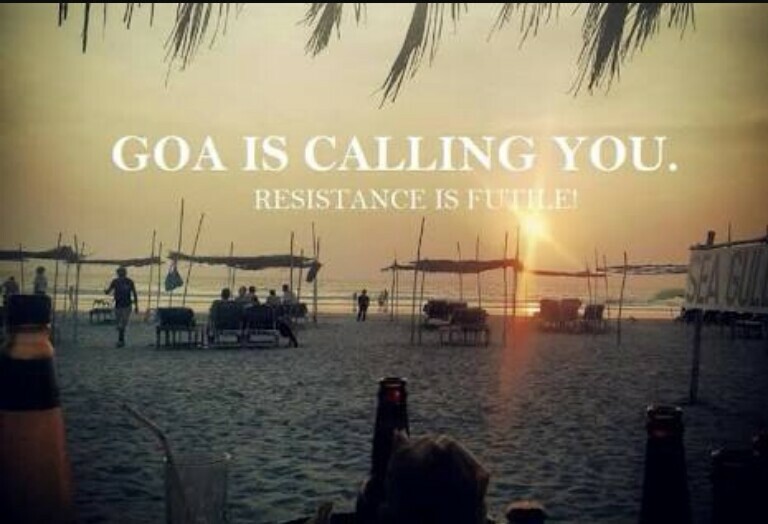 Besides, you will see Goa exactly like a local :) Ask for rented vehicles from the hotel where you are staying. Better if you could get some local agent from the hotel arrange it for you; you could haggle if you want. A Thunderbird 350 CC in good condition should not cost you more than 2000 for 3 days. 2. Safety: If you are planning to move from your hotel at 10 in the night to check out the lifestyle of the place, please do not carry any excess baggage in your mind regarding your safety; leave that for metropolitans. Goa is extremely safe even if you are riding a bullet at 12 AM. There might be certain places, which would be completely devoid of any light. For all such places, I would advise you to carry either a fully charged smartphone (with a torch) or a torch itself. It’s better to be your own torchbearer! Further, try to arrange your late-night travels in groups in order to be extra secure and lastly, do not carry any valuable along if you are out to groove in a night club. 3. Toiletries: A hand sanitizer and a sunscreen. Never get these two to lose you ever! 4. Clothing: Extra set of clothing no matter where you are going, be it Dudhsagar falls or the beaches, will always prove utile. 5. A hat and shades: Available in abundance in Goa, these two will compel you to buy them seeing you give in to the heat and the sunny days. They are especially seen sold outside all popular forts and churches. 6. Decorum: A lot of people forget where they are as soon as they are two pints down. Decide if you are staying where you are boozing or you are driving back sane. I saw a lot of girls go so wild being drunk that they started throwing cuss words at the bouncers. Obviously, they had to be thrown out from the club, but that’s not why you have come all the way this far – to get booed by a lot who you don’t even know. Better to be sane and enjoy knowing what you are doing than to guess what you might have done the next morning. 7. Trust the locals: You can safely do this; though, a lot of them might not know English, Hindi comes handy to a lot. You can safely trust them for directions and ways. 8. Hotels: They might be in hundreds, but you have to decide sanely where you would stay if you are travelling with a family. 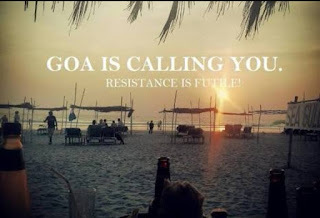 Since Goa tourists comprises a lot of crowd which comes there just to spend some days off partying, it is safer to go with either the brands or the hotels which have secured good user ratings on trusted websites, like Booking.com. 9. Food: Goa will serve you the best of the seafood, tasty enough for you to savor it days after you had it; the bests are prawns, shrimps (the smaller, the better), crabs, beef and, of course, a variety of fishes. Do not hold high expectations of chicken dishes in Goa – they do not know how to cook this the best. We had very bad experiences with chicken dishes at a couple of top restaurants and we had to draw this conclusion. 10. Potable Water: Carry this all along your travel, especially if you are going to the beaches or for water sports. The salt water really takes a toll on your head if it enters your body either through your mouth or your nostrils. Better to have an easy option to wash out ready. Drink lots of it, even if it means frantically looking for washrooms; you’ll find some easily. Having noted all said above, you're all set to boogie in a land with so much of positive vibes that you would definitely want to come back! Cheers! I would also add toilet paper to the list. Most people either don't have them or are unwilling to give in adequate quantities. Is it reasonable or will the rob us in daylight.? Hi Rakhi! Thanks for your question; you will have to haggle a lot. Like any other tourist place, they (especially the street vendors) overcharge on almost everything.